Now, if that’s not chic and trendy, then I don’t know what is. Damson & Co do a variety of freshly pressed fruit juices (£4.00), which they can mix to your tastes in a rather cute bottle. 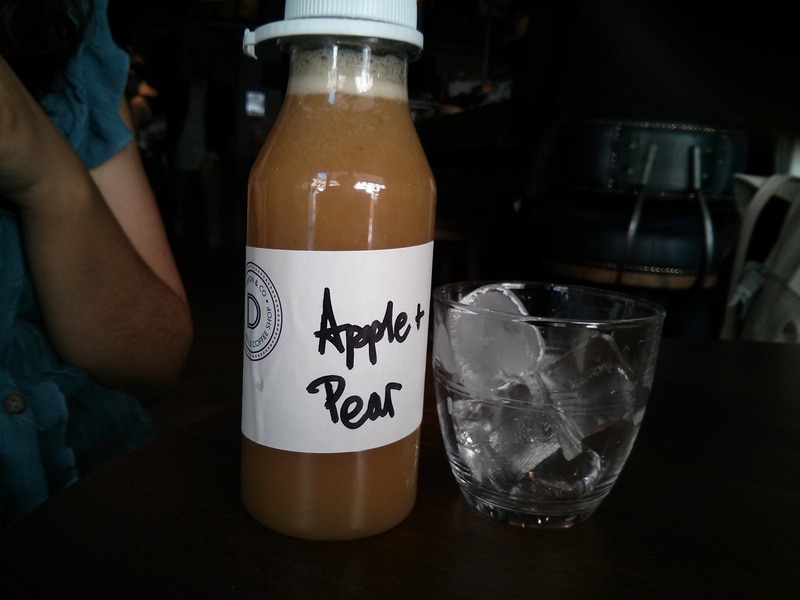 I took an Apple & Pear combo, which was delightfully refreshing. As it was lunchtime, there was a limited day time menu of soups, eggs, sandwiches or salads. 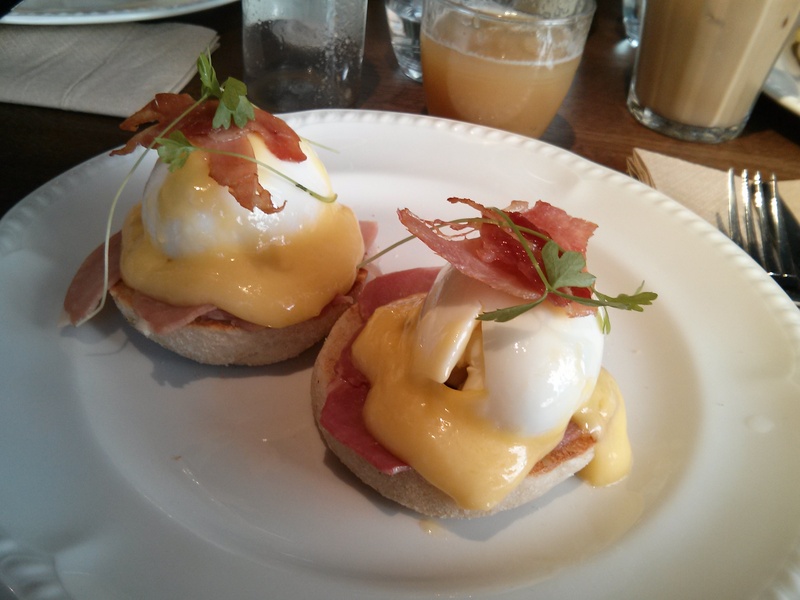 I chose the Poached Eggs with Dukeshill Shropshire Black Ham (£9.00) on an English muffin. 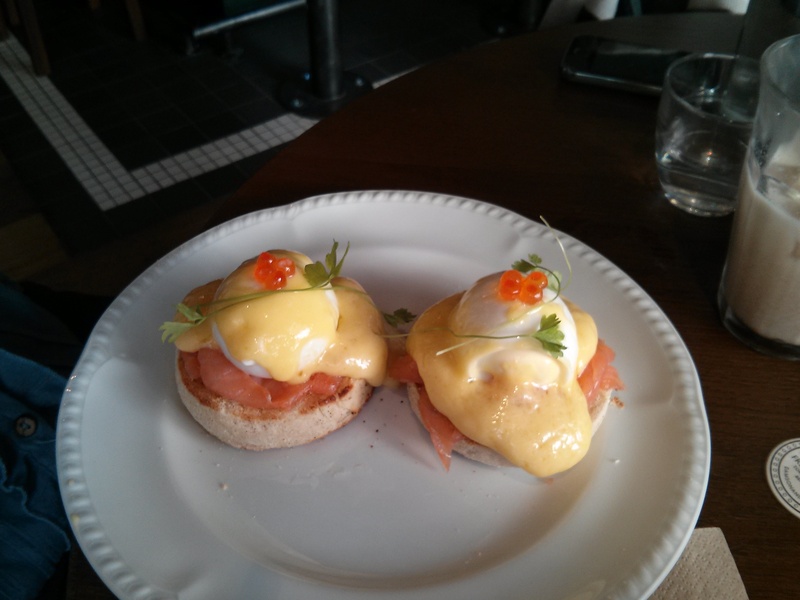 This came with a hollandaise-style sauce, which was light, tasty and not too rich. 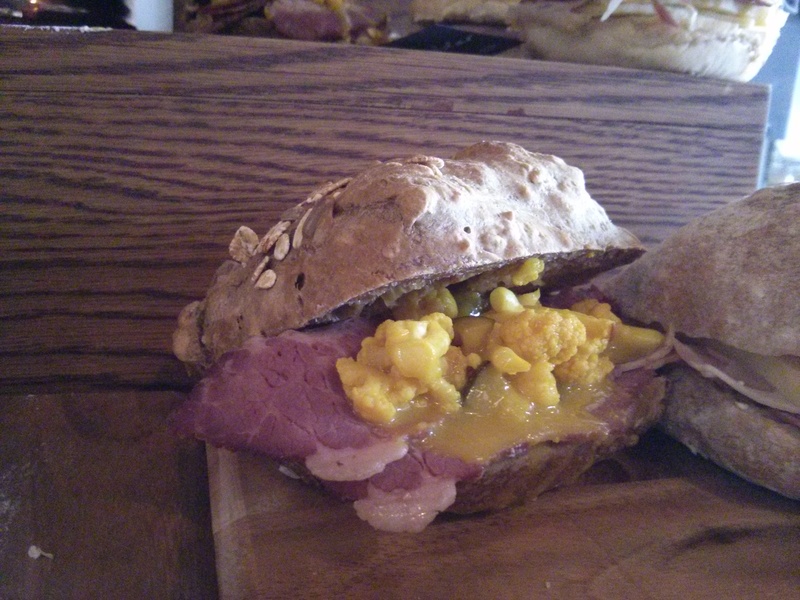 The ham was fantastic – it had such a deep flavour. However, they overcooked one egg, which was a little disappointing. I insist on perfectly cooked eggs and, at these kinds of prices, I think everyone should. 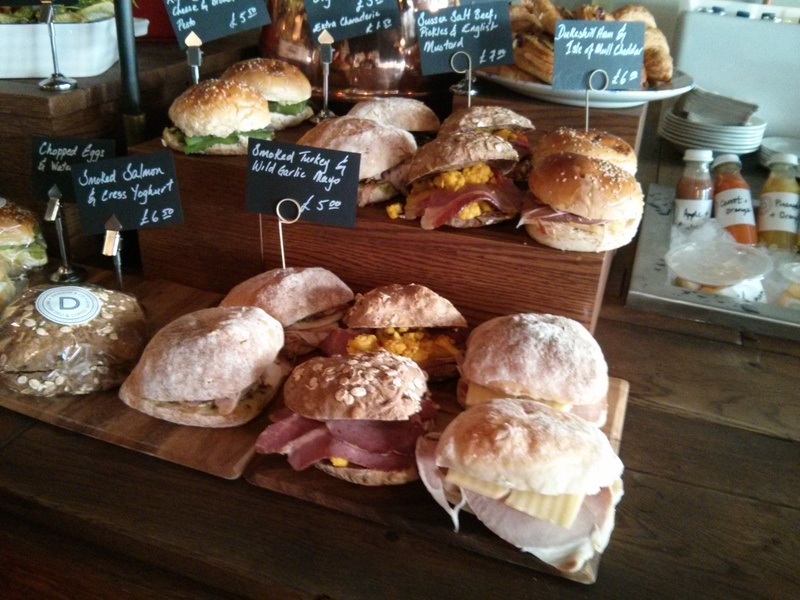 Damson & Co also had a really tantalising array of sandwiches set out on the counter top. I took away a beef and pickles sandwich (£7.00), which sadly wasn’t as good as it looked – a little dry and way too vinegary. Sandwich aside, the juice and eggs were enjoyable. But £12 for an extremely light lunch?! Guess this is what being trendy in London costs. There definitely wasn’t enough wow-factor for me, so I’ll have to settle for less chic establishments.